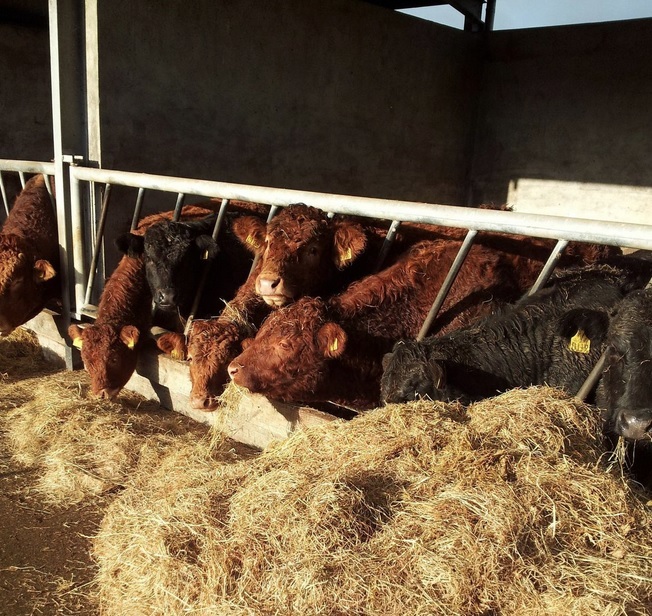 During the winter housing period, maintaining thrive in weanlings and store cattle is vital. These animals are the future of your beef business. For weanlings, the objective is to keep feed costs as low as possible and exploit compensatory growth at pasture during the following grazing season. Compensatory growth occurs when animals have a plentiful supply of high quality feed (usually grass) available after a period of restricted growth. This allows animals that get a limited diet over the winter to gain weight rapidly in spring/early summer. The earlier you can get cattle out in the spring the greater the potential for compensatory growth. A target weight of 0.6kg average daily gain during the first winter is optimal. There may be a case for higher weight gains and higher supplementation rates if animals are being sold out of the sheds at the end of the first winter instead of going back to grass. Weanlings that have been over fed with concentrates and are “warm” will lose much of the winter weight gain in the first few weeks at pasture. Stock gaining less than 0.25kg/day will not be able to compensate sufficiently at pasture so extreme restriction is not recommended during housing. Meal supplementation rate will be dictated by silage quality and type animals being fed. Less concentrates are required when high digestibility silage is available. From experience, visual assessment, texture and smell, most farmers will know whether they have good or bad silage. However, a more detailed laboratory analysis costing only €36 would be very beneficial. This would tell you how good your silage actually is and what level of meal feeding you would need with it. Concentrates should be front-loaded when animals go into the shed and gradually reduced 4-5 weeks later. As cattle go from a diet of grass to silage the extra concentrate is fed to make the changeover as easy as possible. This will mean the cattle keep thriving and gaining weight in the shed. For weanlings, feed a high energy 16% crude protein ration with minerals and vitamins included. Don’t over feed concentrates to weanlings as they will get too fat and are not ideal for sale or grass. 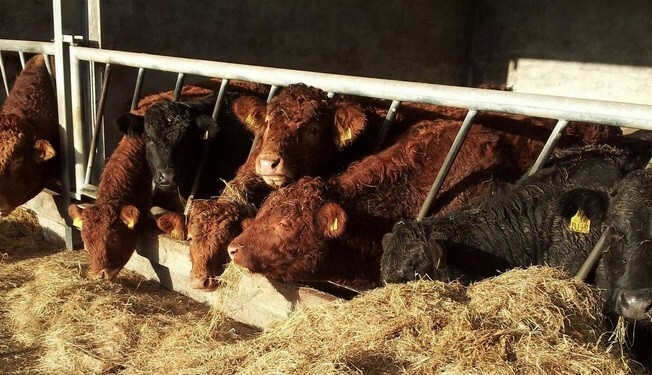 Store cattle are older animals that are being housed for a second winter, with the intention of going back to grass again the following spring. These would usually be steers or heifers fattened off grass at under 30 months of age. The response to concentrate supplementation for stores is lower than for weanling and subsequent compensatory growth at pasture is generally greater and can exceed 1kg live-weight/day. Target daily live weight gain during the housing period is 0.5 kg/day for heifers and 0.7 kg/day for steers. The optimum level of concentrate supplementation for store cattle in winter depends on silage quality. For store cattle feed a high energy 14% CP ration with minerals and vitamins included. If using forages such as maize silage or fodder beet, a protein balancer and minerals will be required. Any ration being fed to weanlings and store cattle should be palatable, fresh smelling and free of dust. Ensure clean, fresh drinking water is available at all times. By Anthony O’Connor, Teagasc Advisory.